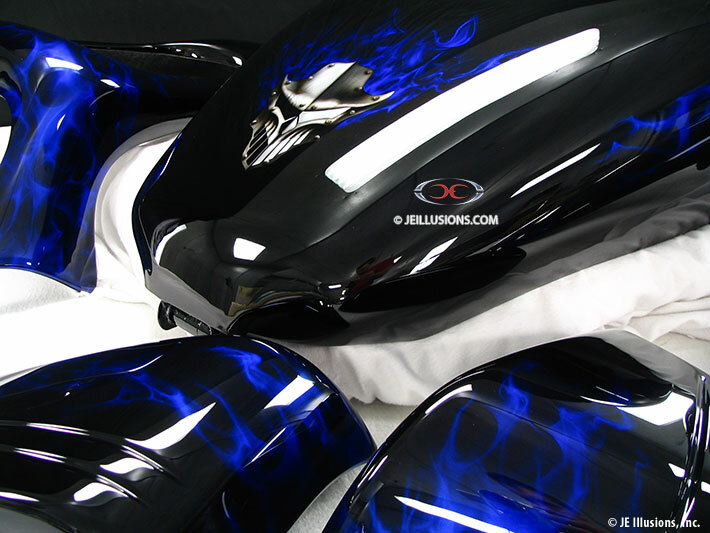 This set features a true jet black base to add the gloss and 3D effects. 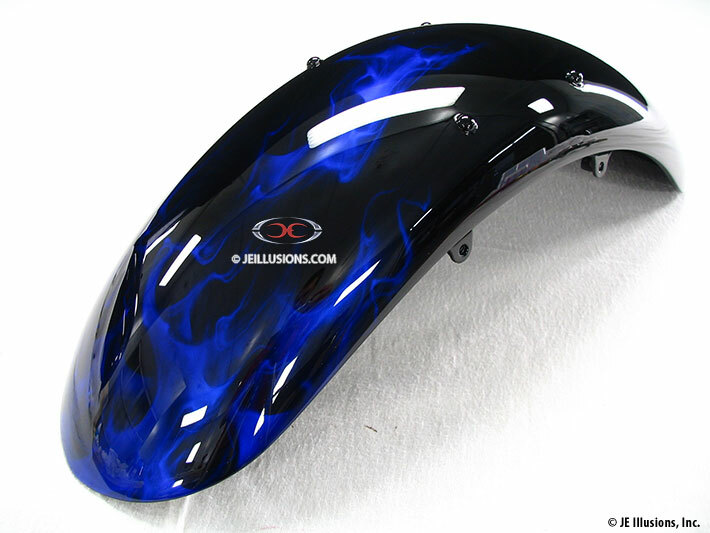 Alcohol Flames flow over all of the parts. 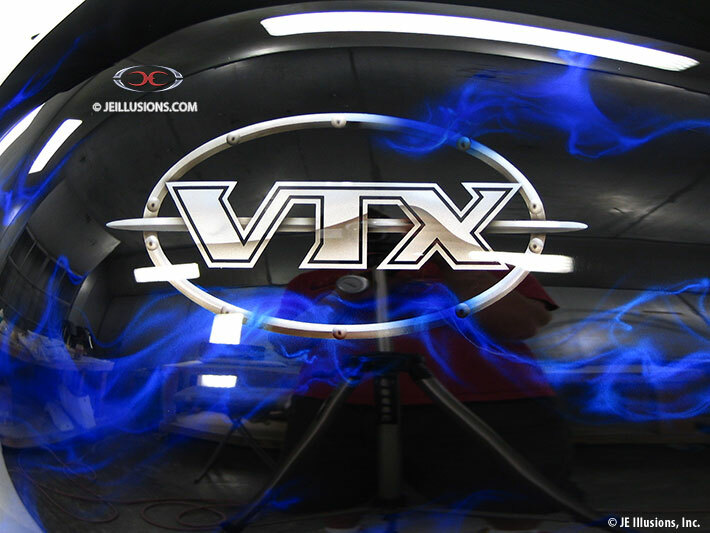 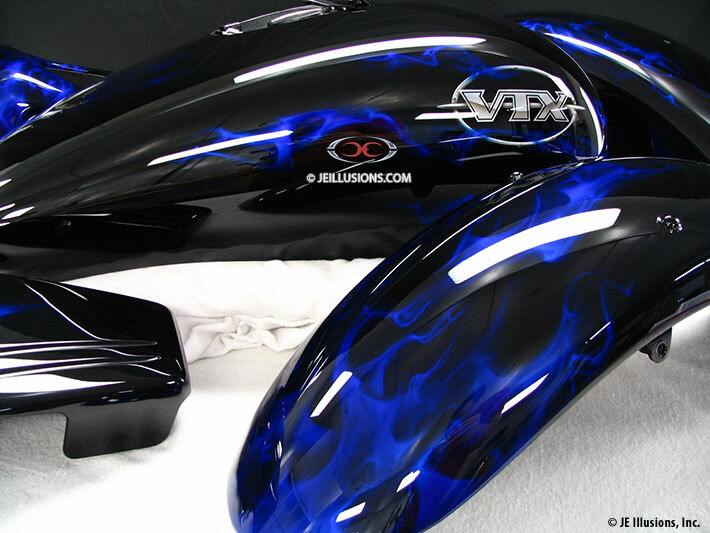 Customized VTX logos were airbrushed on each side of the tank and a "evil knight" mural was added as well.